The version used for the screenshots is "1.01-022095-1645", which decodes to release 1.01, February 20, 1995, 4:45pm. :) I have the source (SAS-C) somewhere, I'm sure. heh. The application screen. The 126, 0, 79 shows the position in 3-space that the cursor is hovering over. 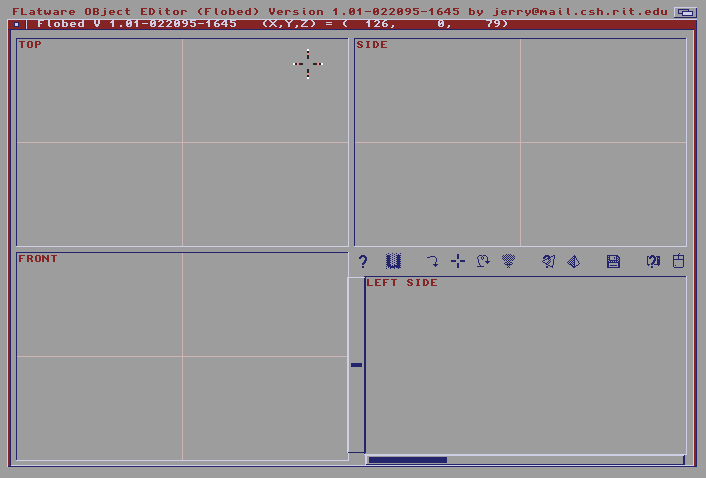 The layout was roughly copied from screenshots of "Lightwave" that I had seen. "Eeglo" object loaded in. 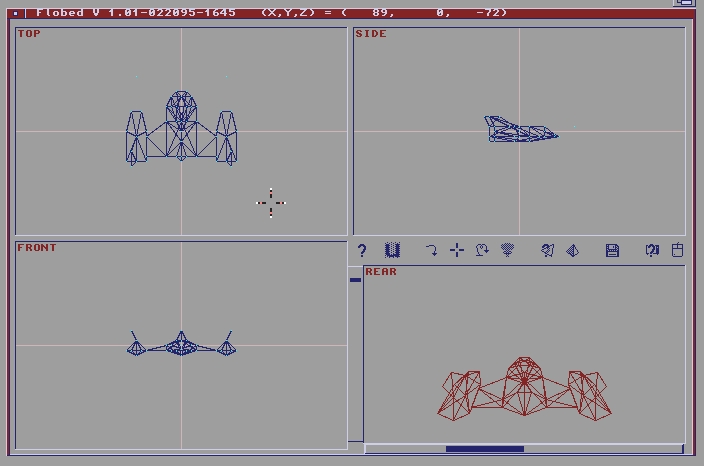 Notice the bottom right shows a perspective view. Above that are tools: Help, Undo (grayed), Create, Select, Move, Nuke (delete), Surface parameters, 3D render, Disk operations, Visual settings( hide/show points, vertices, etc), User input settings. Most of those will open a window that covers that entire bottom right corner. And here's the "Waffle" object loaded in. 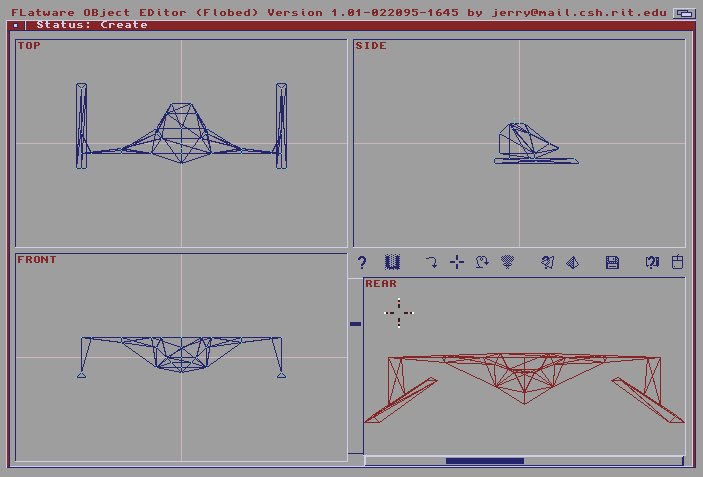 It should be noted that those space ships/objects were not created in Flobed. They were created by hand, using graph paper and a text editor.